Boys in grades 5 and 6 continue to master the core fundamentals while learning more advanced skills that increase their "Lacrosse IQ". At this level, players will be introduced to controlled body checking, use of long poles for defenders, and increased size of field. Even if your son has not played lacrosse before, this is still a great time to start. Equipment: Players must provide their own NCAA regulation size lacrosse stick, gloves, arm pads, cleats (no metal spikes), and mouth guard. WYB will lend players a helmet and shoulder pads - this equipment must be returned at the end of the season. Athletic cups are not required but are strongly recommended. Players must purchase a reversible team jersey with a number to wear at all practices and games. Players will keep their jersey at the end of the season and can use again in future seasons. Practices: Practices begin in mid-March, and the season runs through May. Teams will practice up to three times per week. The specific practice schedule and practice location for each team is determined by the head coach. Games: In 2019 all games will be played on Sunday's at the Worthington Kilbourne High School varsity field. 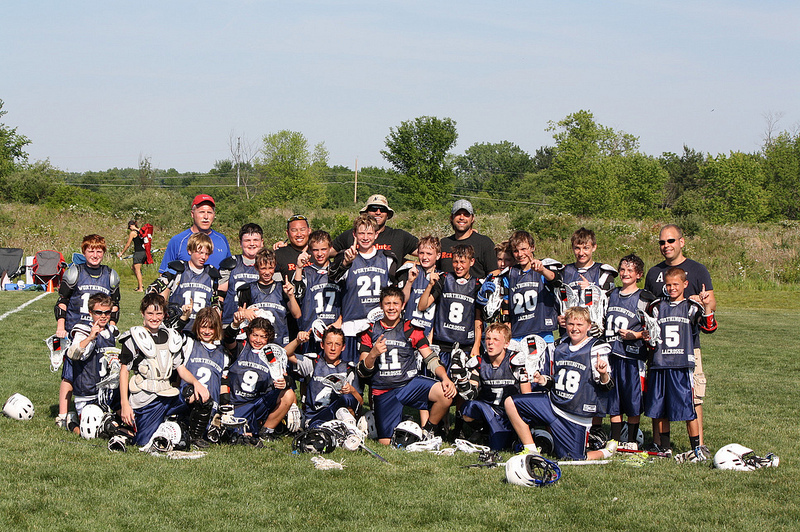 To continue a Worthington Lacrosse tradition, WYB will once again form a “select” team of advanced players. For 2019, we will form one team of 5/6th grade Worthington players to compete in Olentangy Iroquois Round Robins, a UA invitational and other tournaments at the discretion of the coaches (dates TBD). Players will be selected for these select teams based on performance at tryouits, their skill level, position strength, athletic ability, and sportsmanship, by a selection committee made up of WYB coaches. Parents will be notified of the invitation to participate on the team sometime in April. Players must play on their respective WYB team for the entire season in order to be eligible to participate on the select team, however there is no guarantee that they will be chosen to participate on the select team. The select team will practice at least one day per week in addition to the WYB team practice beginning in April and leading up to the Tournaments. There may also be games scheduled against teams from other local youth teams and other tournaments. An additional fee will apply for all players selected to be on the teams to cover the cost of jerseys, shorts, and tournament fees - usually around $150. More details to be announced after the season begins; stay tuned!